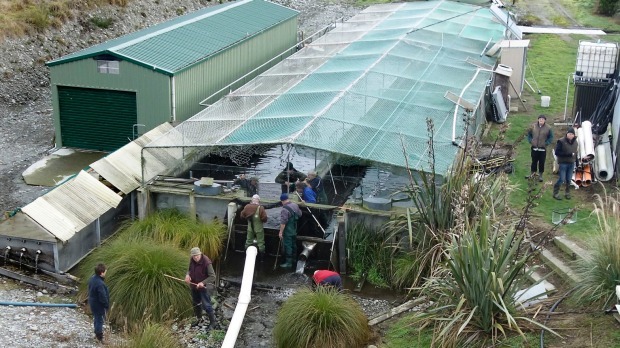 The McKinnon's Creek Salmon hatchery is a highly successful project working in conjunction with Centra South Island Fish & Game. 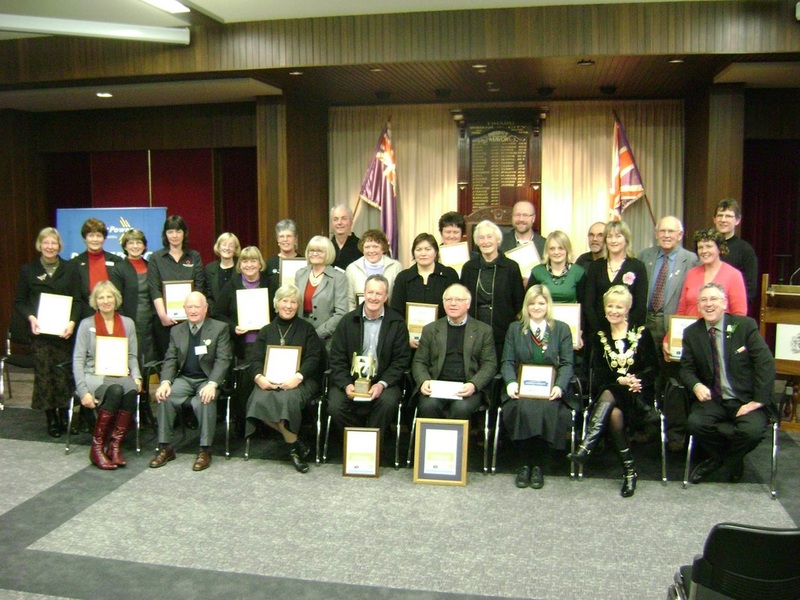 It provides salmon fry and "eyed ova" to the Rangitata, the Opihi, Orari and Ashburton rivers. It also assists the salmon fishery at Otago harbour with eggs. 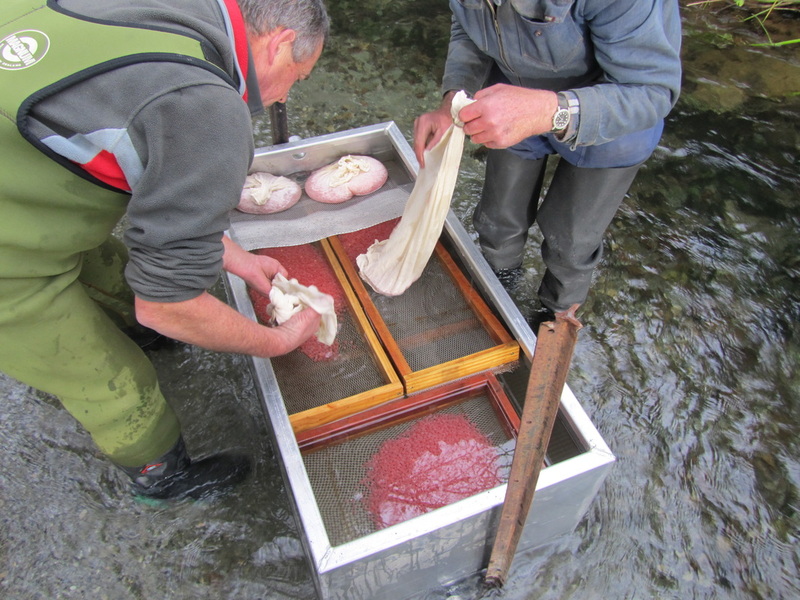 A group of Opihi river anglers now looks after the breeding programme for that river and maintains the incubators at 3 Springs stream. We are always looking for help at the hatchery, and persons or groups to assist financially or sponsor particular projects. 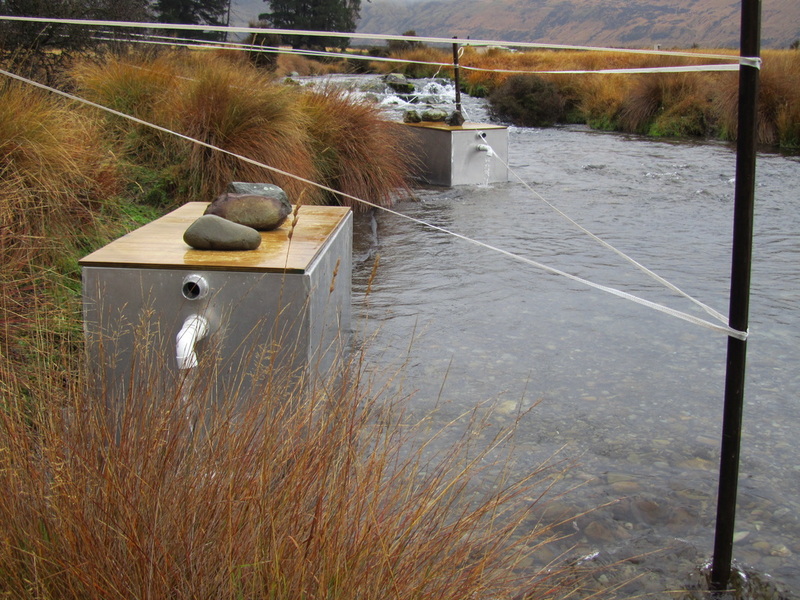 Remote incubators at 3 Springs stream on the Opihi River. 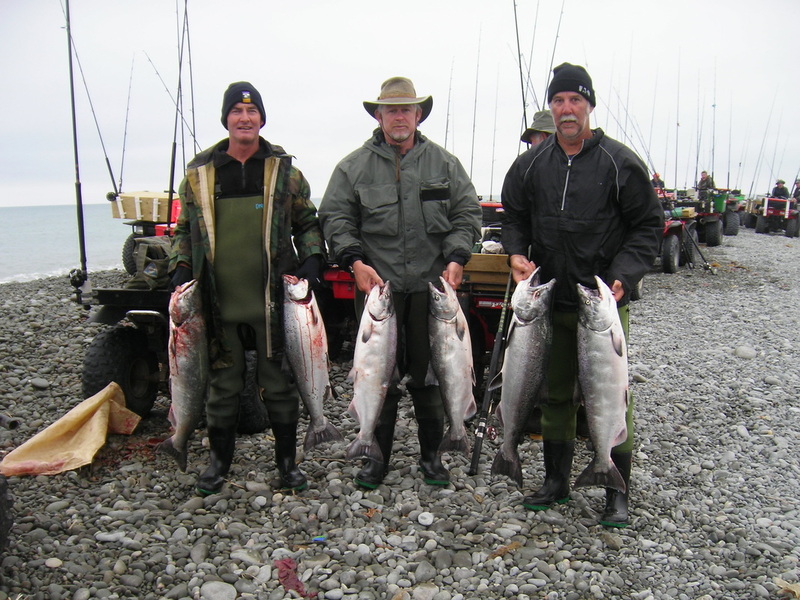 A good catch, Rangitata mouth.